Touchpad scroll not working is a very common issue that has been observed with many laptop users. Usually, the touchpad scroll is located at the right side of the touchpad of a laptop. With the help of a single finger, one can easily scroll up or down while browsing the internet, files, documents, etc. The instances when touchpad scroll stops working usually occur after Windows updates or due to other issues at times. Before we proceed, I’d like to mention that these solutions work the same, regardless of your laptop brand. The following solutions can fix touchpad scroll not working for Dell, HP, Lenovo, Acer, etc. The first step to fix a non-functioning touchpad scroll is NOT TO PANIC. There are huge chances that you updated your Windows 10. And, right after the update, your touchpad scroll stopped working. Sometimes, the reason might be something else. So, we are going to keep all the possibilities open while trying to fix touchpad scroll not working issue. Whatever be the case, at times, a simple restart might fix the problem. Do not shy away, just give your PC a reboot. It’s a standard procedure. Every tech-support guy’s dream is to get customers PC restarted to get the problem solved, so I’m just trying to follow the legacy. Just kidding, I’m serious; Have you tried to restart your PC? So, you’re back, huh? Still touchpad scroll not working? It’s time to shut down your PC, and start it in Safe Mode. If your touchpad scroll starts to work, then it’s probably the startup programs that are keeping your touchpad scroll from working. While you start your computer, you will hear a beep tone. As soon as you hear that tone, start pressing the F8 button continuously. Keep an interval of around half a second between every press, until you see the Advanced Boot Options screen. 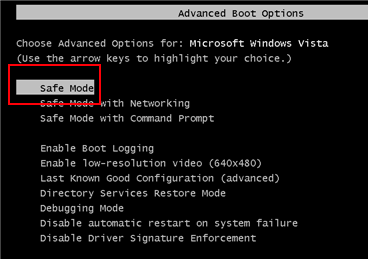 Select the Safe Mode option and hit Enter key. Your PC will start in Safe Mode. If the touchpad scroll is not scrolling, then there is some issue with startup applications. To stop unwanted startup applications, you can visit the startup menu. Press Windows + R keys together. The RUn box will appear. Type msconfig and press Ok. This will open the System Configuration window. Here, go to Startup tab. Here, you can unselect and disable all the programs except those whose manufacturers are Intel Corporation and Manufacturing brand of your PC. For example, I unselected all startup items except those with manufacturers Dell and Intel. After that, press Ok to save the settings. Restart your PC and see if this works. So, until here, we were carrying out basic troubleshooting. Now let’s checkout a couple advanced methods, which will resolve the touchpad scroll not working in Windows 10 issue in almost 95% of the cases. Step 1: In Windows 10, press Windows + X keys together. This opens up the Quick Access menu. From the menu list, click on the Device Manager option. Step 2: In the Device Manager window, look for “Mice and other pointing devices” option. Click on it to expand it. From there, you will have to right click on the touchpad driver option. From the context menu, select the Properties option. Step 3: In the Properties window, go to the Driver tab. Here, you will find several options and buttons. One of the buttons which you want to click on is “Roll Back Driver“. 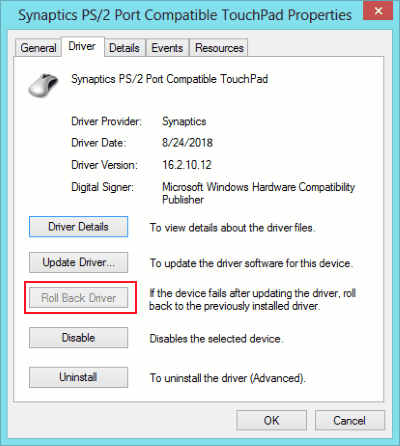 If you find the Roll Back Driver option to be grayed out, it means that your touchpad driver has not been updated yet. 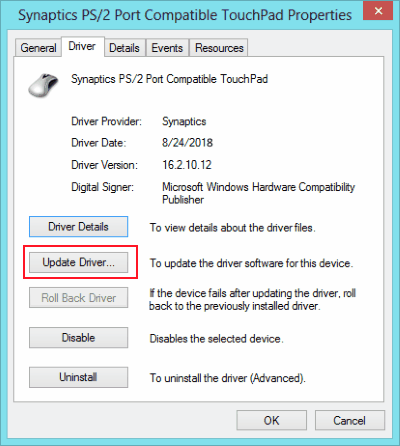 One of the things you can do is, go to your Laptop / Notepad manufacturer’s website, select your PC model, and download the immediately earlier version of touchpad driver. Install the driver and see if this works. The next thing to do to fix touchpad not scrolling issue is to update your touchpad driver to the latest version. The process to update driver is somewhat similar to that of rolling back the updates. Follow the steps mentioned in the above method to open Device Manager. When in Device Manager, right click on the touchpad driver option like mentioned above and select Properties option. From the properties window, you will have to select the Update Driver option, instead of Roll Back Driver option. Once the update is complete, restart your PC and see if the issue has been fixed. If the above method didn’t work, the following method will probably fix the touchpad not scrolling issue. Step 1: Open Device Manager as shown above. Go to the touchpad driver and right click on it. From the right-click menu, select the Uninstall option. After uninstall is complete, Restart your PC. It is suggested to have a mouse connected before uninstalling the touchpad driver. If you do not have access to a mouse, it is suggested that you carry out the second step first. Step 2: Go to the website of your PC’s manufacturer, select your model number, and download the latest touchpad driver from there in compatibility mode. Step 3: Right click on the downloaded driver file, and click on Properties. Step 4: Go to the Compatibility tab in Properties window. 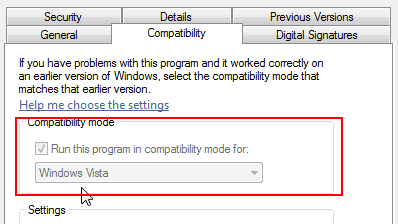 There, you have to select the “Run this program in Compatibility mode” option, then from the dropdown, select your current OS, that is Windows 10. Step 5: Install driver and restart your PC. This would solve the problem for you and your touchpad scroll would be working fine. Step 1: Open Start menu and type “Control Panel“. Click and open Control Panel. Step 2: In Control Panel, you have to select the Mouse option. If you cannot find Mouse, it means the options show up as categories. Click on the Hardware option to find the Mouse option. 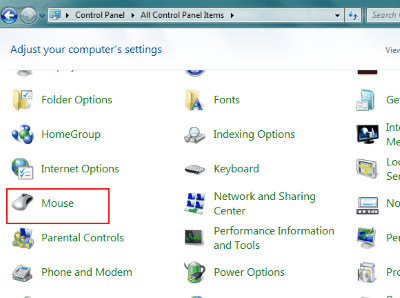 Step 3: In the Mouse window, go to the Pointing Device Properties tab. Here, click on the “Device Settings” option. 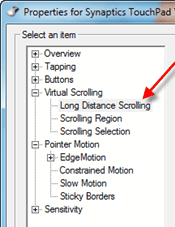 Step 4: From this window, select the “Virtual Scrolling” and “Long Distance Scrolling” options. Checkmark other necessary options to according to your preference. Step 5: Now, select the Scrolling Region and point the area where touchpad scroll is available on your touchpad. Note: This is not exactly a fix to the issue of touchpad scroll not working in Windows 10, but an alternate solution to scroll using your laptop touchpad. Although these methods will definitely solve your problem, you are probably reading this because none of the solutions worked for you (sad and irritating at the same time). Probably it’s a hardware problem; you never know. It’s time you take your laptop for a check at the nearest service center and utilize that unused warranty card that you probably forgot about. I know it’s a hassle and takes time, but that’s the perk of getting your PC checked by professionals.